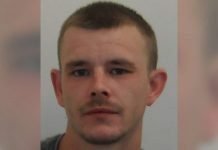 Two men have been jailed today (11th October) after an impromptu street race led to a collision on Bristol Road South, leaving a woman in her 50s with serious injuries last November. 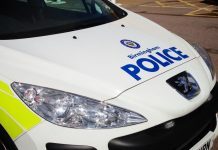 The collision happened between Bournville Lane and Northfield on November 13th last year and the woman had to be cut free from her Peugeot and anaesthetised at the scene due to the severity of her injuries. The two men, Bashir Ahmadzai (22) from Edgbaston and Lee Round (26) from Maypole both received custodial sentences and driving bans in court today. 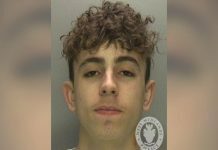 Before the accident, Ahmadzai, driving a red Golf Gti, and Round, in a blue Audi A3 Turbo, were seen weaving in and out of traffic in Selly Oak before speeding off down Bristol Road South towards Northfield, at speeds up to 80mph. The woman was pulling out of Cob Lane, just past Bournville Lane, when her Peugeot estate was hit by Ahmadzai’s VW. Round’s Audi then crashed into the back of the Golf, causing catastrophic damage to all three vehicles. The woman sustained multiple injuries and was in a coma for three weeks, spending a total of five months in hospital recovering from the accident. 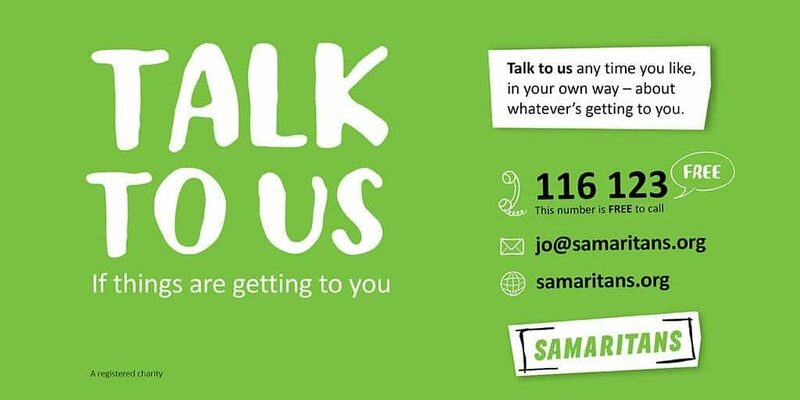 Self employed Ahmadzai and Round, a mechanic, both pleaded guilty to causing serious injury by dangerous driving. Ahmadzai also admitted driving without insurance. 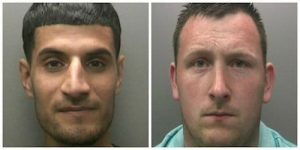 In Birmingham Crown Court today, Ahmadzai was sentenced to two years in prison and disqualified from driving for three years. Round was jailed for 20 months and received a driving ban for two years and ten months. Both men will also have to take an extended driving test before they allowed back on the roads. 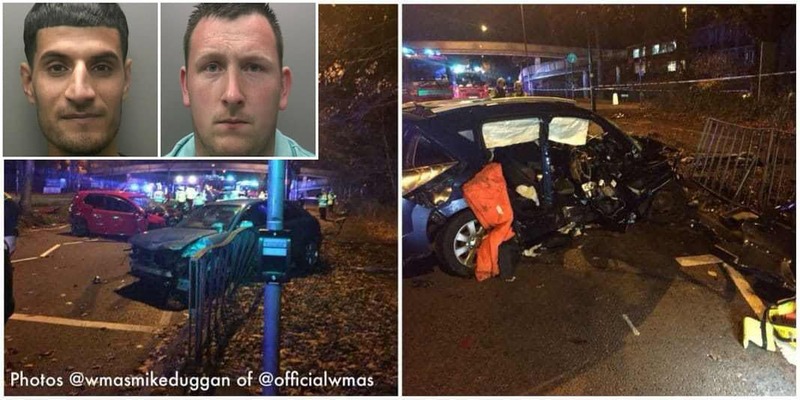 Sergeant Chris Ridge from the force’s collision investigation unit, said: “Not only has this collision changed the life of the driver and her family, but also the lives of Ahmadzai and Round who are facing a considerable time behind bars. The ripple effect of their actions will also affect the lives of their own families. They have lost their liberty and employment and therefore their families will face financial hardship. The court heard in a victim impact statement that the driver of the Peugeot sustained serious life changing injuries, from which she is making slow but steady progress.